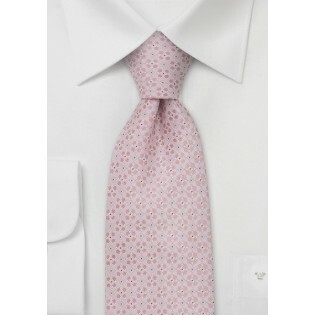 A stunning light rose pink necktie with tiny floral pattern. 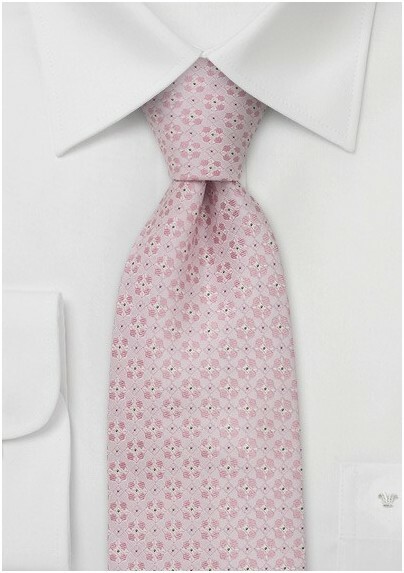 This beautiful tie looks best when combined with gray, tan, or navy suit. It is a perfect tie for those seeing a trendy summer look that, although trendy, is not too flashy for everyday business. This tie is handcrafted from pure silk. Neckwear designer Chevalier created this unique floral pattern using a intricate Jacquard weave. This tie also comes in yellow, light blue, and fresh pastel green.